Classic TV Blog Association: Announcing the 2014 Summer of MeTV Classic TV Blogathon! Announcing the 2014 Summer of MeTV Classic TV Blogathon! 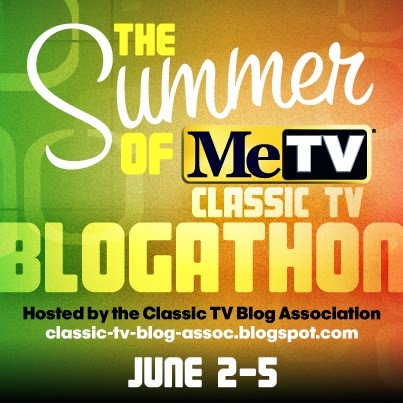 The Classic TV Blog Association will host The Summer of MeTV Classic TV Blogathon on June 2-5. The blogathon will consist of blog posts about TV series on MeTV's summer schedule. The complete schedule is below; click on the TV series title to read the post. If you interested in joining the Classic TV Blog Association, send an e-mail to: classic.tv.blog.assoc@gmail.com.